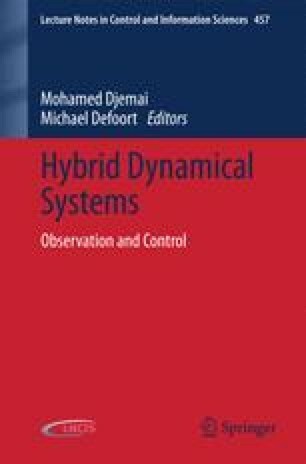 This chapter considers the stabilization problem for switched affine systems with a sampled-data switching law. The switching law is assumed to be a function of the system state at sampling instants. Sampling interval may be subject to variations or uncertainty. Switching law design criteria, taking into account the sampled-data implementation and uncertainties, are provided. Numerical examples illustrate the approach. The research leading to these results has received funding from the European Community’s \(7\)th Framework Programme (grant agreement No 257462) HYCON2 Network of Excellence and Israel Science Foundation (grant No 754/10).